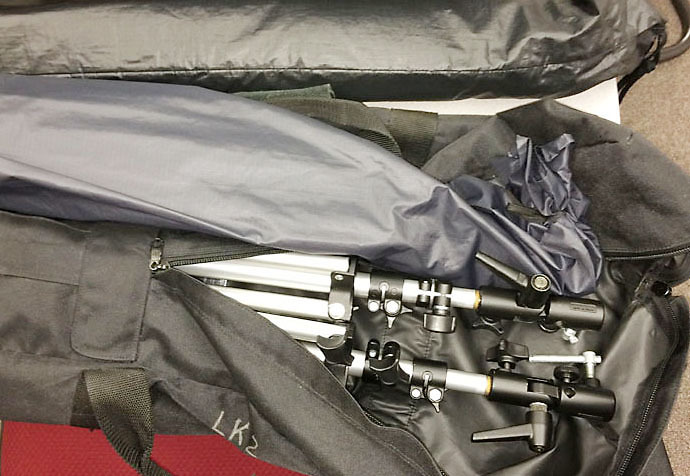 The Visual Communications sequence has three portable lighting kits for students to check out. Thanks to Prof. David Weintraub and Dr. Keith Kenney who have donated this equipment to the school. 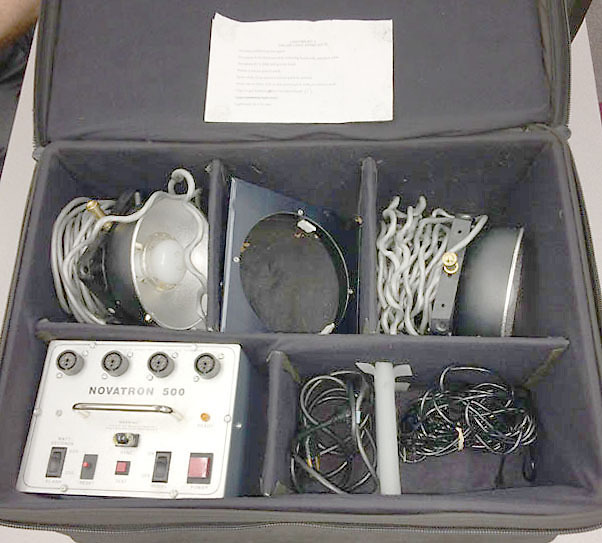 Light Kit 1 (Light Strobe Single 301) has a Novatron power pack 440 Plus and one light head. 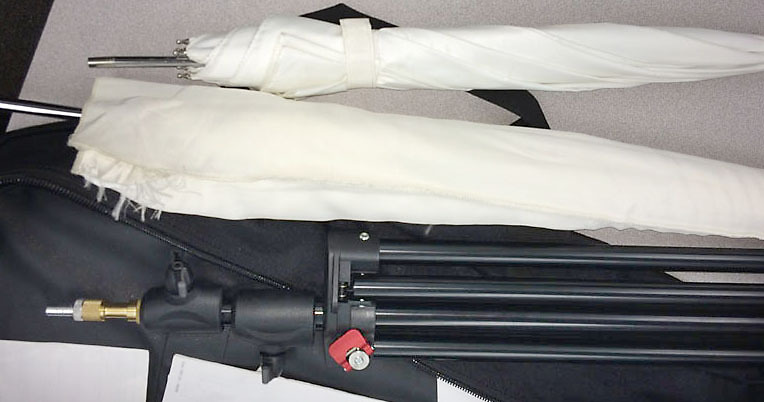 Light Kit 1 (Light Strobe Single 301) accessory bag has one light stand, a small umbrella and a large umbrella. Notice the adapter on the end of the light stand to fit the head. 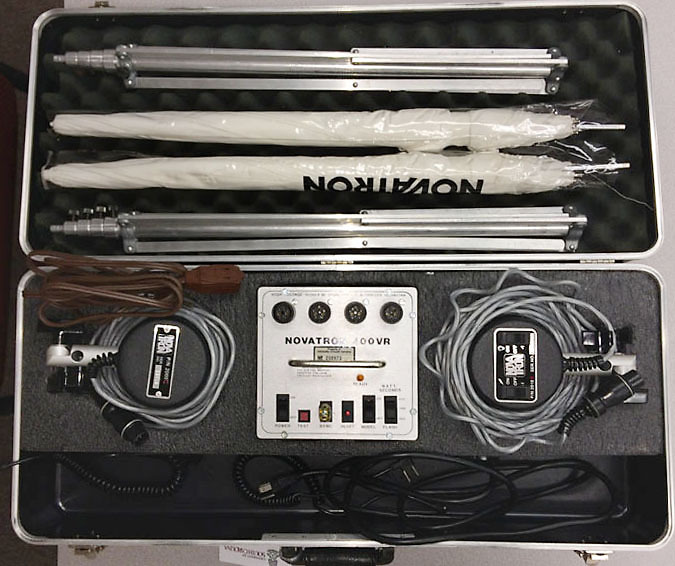 Light Kit 2 (Light Strobe Dual 302) has one Novatron 500 power pack, two light heads with brackets and one gel holder. Notice the brackets have a distinctive stud, so light stands need an adapter to fit them. Light Kit 2 (Light Strobe Dual 302) accessory bag has two light stands, a large softbox and a small softbox. You can see the light stands have adapters for the heads in this kit. If the adapters aren’t on the stands, look in the bag. Light Kit 3 (Light Strobe Dual 303) is self-contained, so everything is in one hard case. 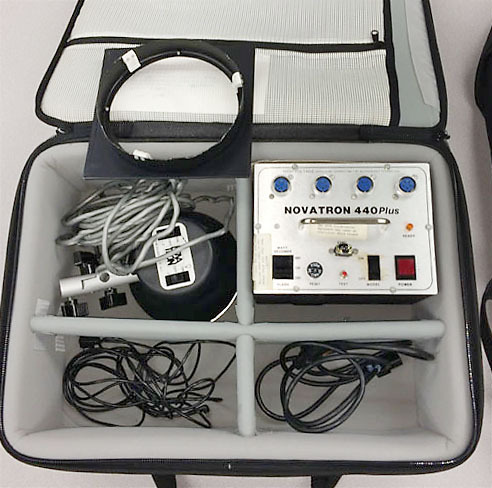 There is one Novatron 400VR power pack, two light heads, two light stands and two small umbrellas. 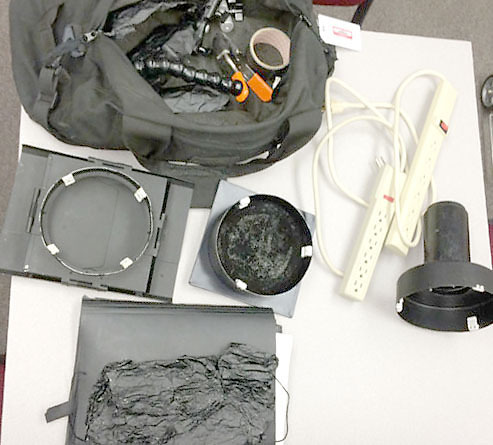 The Novatron gadget bag (Light Accessory Bag 305) has lots of accessories for a location lighting shoot. Includes snoots, honeycomb grids, barn doors, notebook of gels, black foil, gaffer tape, clamps, power strips and light stand adaptors, tools and other miscelaneous gear. Be sure to check all the pockets for treasures. Goes with Visual Communication sequence’s Novatron lighting kits. You need a way to trigger the strobes. One easy way is to check out the Nikon Sync 1 or Nikon Sync 2: these allow you to connect the lights to the hot shoe on your camera and trip the strobe just like your Speedlites. You can also set up a small strobe to trigger the Slave unit included on the power pack in each kit. David Weintraub checks Visual Communication sequence’s Novatron lighting kits. I take pictures and teach other people how to do it, too. This entry was posted in Gear, Photo II, Photography and tagged artificial lights, JayMass, Kenney, light kits, lighting, Novatron, strobe, strobes, vis com, Weintraub. Bookmark the permalink.